Provides extra storage space much needed for small bedrooms. 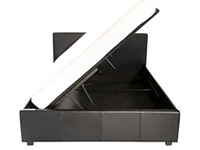 If you don’t have much space in your bedroom, then a great solution to make space is to get an ottoman storage bed where you can store items within the bed frame. Here are 5 of the best ottoman beds of 2018 that money can buy, in a range of sizes including single, double, king size and even super king size. Sizes – These are the available ottoman bed sizes offered for that particular model. They are based on the UK standard bed sizes. Frame – What material is the bed frame beneath the outer material? Cover Material – What’s the material that covers the bed frame? Slats – These are the thin narrow frame pieces that help to support the mattress and people sleeping on top. Normally, they would be wooden in a flat or sprung style. The thicker it is and the more slats there are, the sturdier the bed would be. Opens – At which side does the ottoman storage bed section open up? Flat Packed – Practically all ottoman beds would be delivered flat packed, usually in 3 separate boxes. Are you pressed for space in your bedroom? 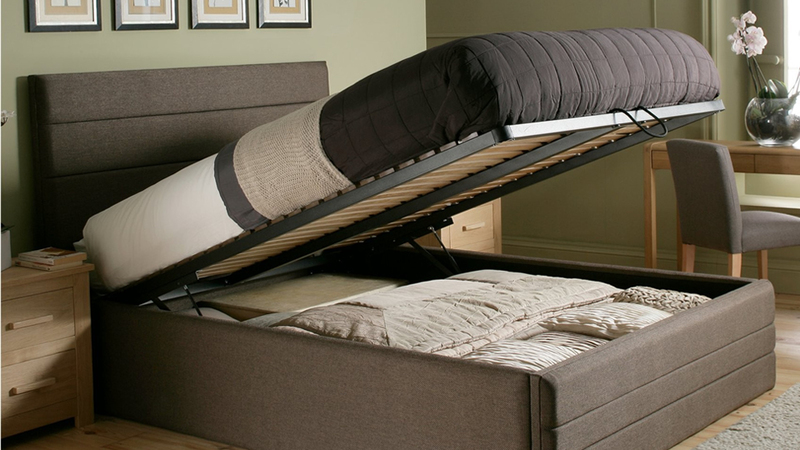 Check out these 8 clever types of space saving beds as a perfect way to save space.